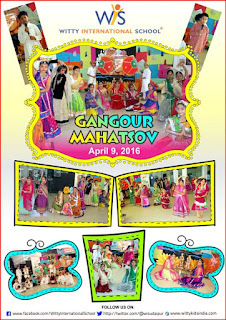 With the motive to keep the traditions alive, Wittians celebrated the most colourful and important festival of Gangaur with full gusto and fervor. The celebration began with the invocation of God Shiva and his consort goddess Parvati. 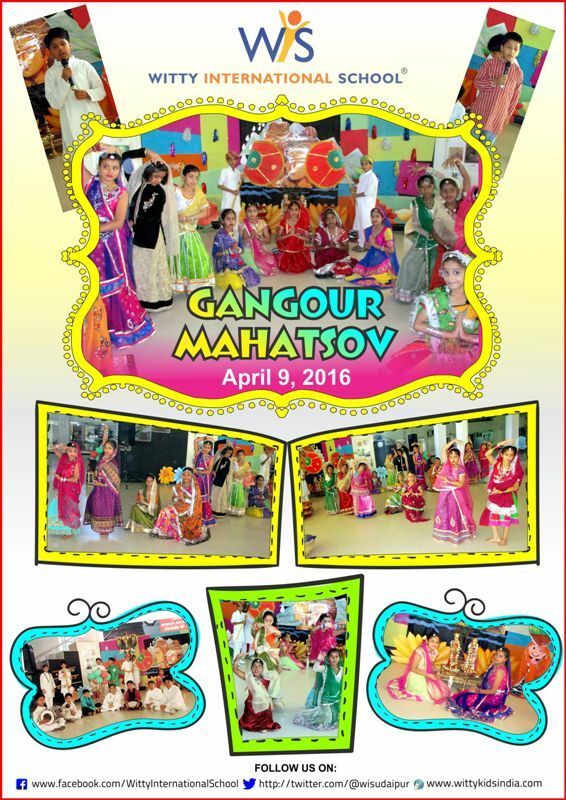 Students of Grade -5 presented a beautiful procession of the ‘Gana’ and the ‘Gaur’. Here, Gana symbolizes Lord Shiva and ‘Gaur’ symbolizes goddess Parvati, accompanied by the students donned in the role of elephants and camels. This procession symbolizes the return of Gauri to her husband’s (Shiva’s) home. This was followed by a scintillacting dance performance on Rajasthani Song. In the end , students were given the information about the festival that it is celebrated in the month of ‘Chaitra’as per the Hindu Calender. The festival rituals commences the day after Holi.